November 19, 2004, Edgewater, MD; North East, MD: The Westlawn Institute of Marine Technology and Cecil Community College (CCC) signed a formal joint education agreement to offer a new Associate of Applied Science (AAS) degree in Small Craft & Yacht Design through CCC. 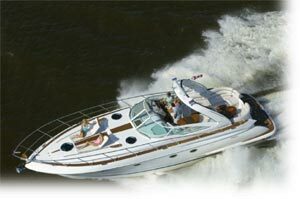 The AAS Degree in Small Craft & Yacht Design is specifically for those individuals who are working or wish to pursue a career in the small-craft and yacht-design profession as well as to support continued growth of the small-craft marine community through the development of well-trained designers. Careers would include, but are not limited to, boat builders, design firms, production managers, production design research, marine surveyors, institutions of higher learning, and standards organizations. The first offering of the course will be in January 2005. Students are welcome to pre-enroll at anytime. This is a full degree program offering college credits for the Westlawn program. Enrollment in the program will be offered 3 times annually. Accepted students will enroll with CCC and complete the Westlawn Yacht Design course through the college as part of the AAS degree program. Students will need to meet all the admission requirements and follow all the course procedures of CCC. These vary some from those of the Westlawn Institute. Financial Aid and Veterans Educational Benefits program are available through the college. Westlawn student lessons will all continue to be distance learning in nature and will be directed to the Westlawn instructors once the program begins. The Yacht Design course material will not differ in any way from what is taught to students enrolled directly at Westlawn. All inquires, questions, registration and correspondence will be directed through CCC. accessed for transferring completed Westlawn modules into the AAS program. Transfer of credits from other public institutions of higher education for the remaining courses is also available at no cost. Westlawn would like to thank The J. Orin Edson Foundation for their generous support of this program. Founded in 1930, the Westlawn Institute of Marine Technology is the only nationally accredited and state certified distance-learning school of small-craft design in the United States. As the not-for-profit educational affiliate of the American Boat and Yacht Council, Westlawn's primary function is to assure a continual source of highly skilled designers to the marine industry. To learn more about Westlawn please call (410) 956-7100 or visit the Westlawn website at www.westlawn.edu. Cecil Community College is a small, publicly funded, open access institution, which promotes educational, cultural and economic development in a changing county in Maryland. The faculty and staff are dedicated to providing optimal education in an environment that fosters social responsibility and appreciation for cultural diversity. Cecil Community College offers high-quality transfer, career credit, and continuing education courses and programs that are designed for college preparation, for the acquisition and upgrading of employment skills, and for personal enrichment. A variety of support services are available to help students formulate and achieve goals. For more information about Cecil Community College, please call (410) 287-1000 or visit the College website at www.cecilcc.edu.